This is the summary of consumer reviews for Plano 4-Tier Heavy-Duty Plastic Shelves, White. The BoolPool rating for this product is Very Good, with 4.40 stars, and the price range is $13.48-$29.99. The Plano 4-Tier Heavy-Duty Plastic Shelves made of durable, impact- and rust-resistant plastic can be used to store just about anything. It assembles in minutes with no tools required. Just snap to fit and it is ready to use. 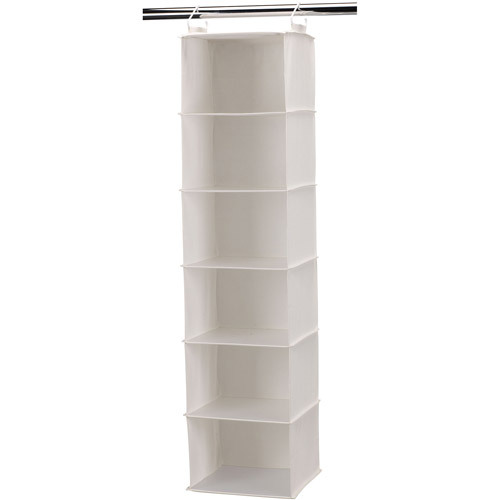 With free standing shelves, this unit offers you with enough storage space. 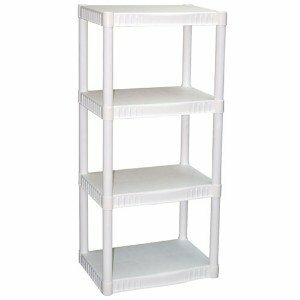 Primarily available in white color, this storage shelves unit can be placed at any corner of your house be it indoors or outdoors. 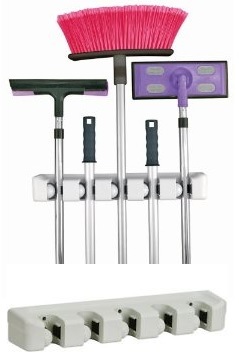 It’s multi-utility functionality helps you manage - children arts and crafts, closet organizer for kids and adults, gardening tools, kitchen storage, garage storage or even use to place your grill outdoors etc., to name a few. It is a lightweight unit and can be easily moved from one place to another. You can modularize the shelving as per your need. The shelf is pretty sturdy if used within evenly distributed weight and size limitation. A few reviewers mention that this is definitely not a heavy duty unit as claimed by the manufacturers. It comes with poor and flimsy quality and easily falls apart. Moreover, some users were very disappointed to receive the units with cracked shelves. 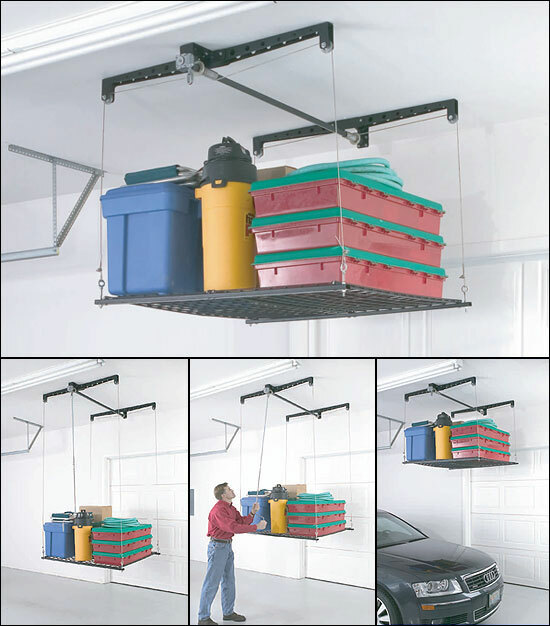 On the whole, the Plano 4-Tier Heavy-duty Plastic shelf is a great way to de-clutter your basement, attic, closet, or garage. 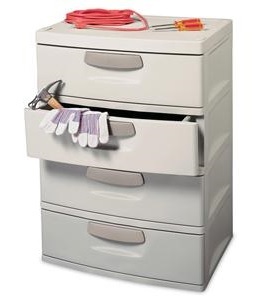 It's unbeatable value and utility makes it a perfect versatile product for storage needs. It's sturdy, has ample space, is easily cleaned and fits together in a snap. This was a perfect fit for my bathroom and work great!!. They fit sideways in the ends of most closets, which is a great way to get low shelves for children in a closet as they fit right under the hanging rod. I'm always trying to maximize the space in my apartment, and these shelves fit right in. Seem to be very nice and fit where I needed them. Just received these shelves, went together easily. At only 22" wide and 48" high, this fit the bill. These shelves will fit most anywhere.What you get is 4 shelves and 12 posts. 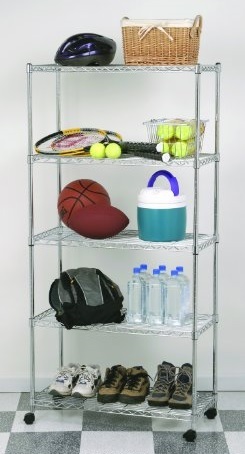 The shelves snap together easily and are very durable. For less than $15 can't beat the value!. sturdy shelf with a low price tag, exactly what we were looking for. It's great for the price, very sturdy. These shelves are great and sturdy for the price. 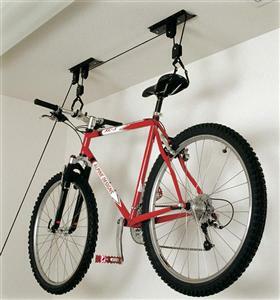 good shelf for garage and good price. For the price -- a great bargain. If you want something super sturdy, this's probably not the shelf for you. 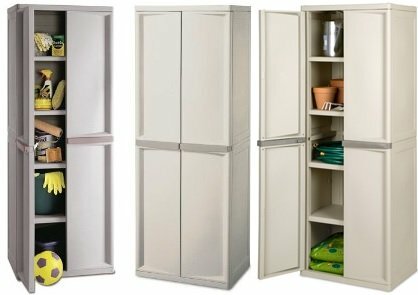 I was looking for a lightweight shelving unit that I can squeeze into the closet for clothes organization. Unit wobbles a bit if top heavy, but for the price you can't complain. I think it'd be a great organization shelf unit. The "Heavy Duty" aspect isn't all that "Heavy Duty". The shelf unit is sturdy and was the perfect width. It seems very sturdy and heavy duty. Not for heavy loads but a great organizer. This unit fits in perfectly, plus it's easy to take apart when needed. I bought two of these shelves to put in my closet to organize my art & craft supplies. if the weight is distributed evenly. The weight limit for which these shelves can hold is unbelivable. The above complaints mentioned are addressed, in BIG print, on the box; it gives EXACT dimensions & EXACT weight limits (including that the weight needs to be evenly distributed). They're roomy and hold a great deal of weight. big enough for everything,easy to build up and take apart,light weight,it`s not fancy. It's simple to assemble, sturdy if you work within its weight/size limitations, and the biggest plus for me: Made in the USA...YAY! It's light weight but narrow so the shelves don't bow down in the middle from the weight of the cans and bottles. I'm sure I've exceeded the weight limits but they still hang in there. This storage system solves that problem for me. They're sturdy, and easy to assemble/dissemble. Super easy to assemble and fits perfectly in my closet. Easy assembly, and sturdy enough for my needs. Assembly was easy, it looks nice and is sturdy. easy to assemble and durable, just the size i wanted too. 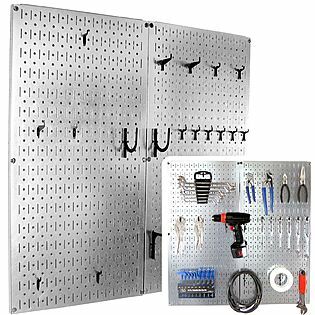 Great product, easy to assemble, needs barely any tools. These shelves are extremely easy to assemble and are sturdy enough to load up with good-sized boxes. These shelves were super easy to build and they're very sturdy. It was very light to carry, extremely easy to assemble. Great product & nice price!. The product is also not very sturdy. Product arrived with cracked shelves, others dirty due to shipping. Good product for the $. The first impression is this product falls apart very easily. Fortunately, the product is versatile and removing a shelf took only a few seconds. This shelf system is lightweight yet extremely sturdy.